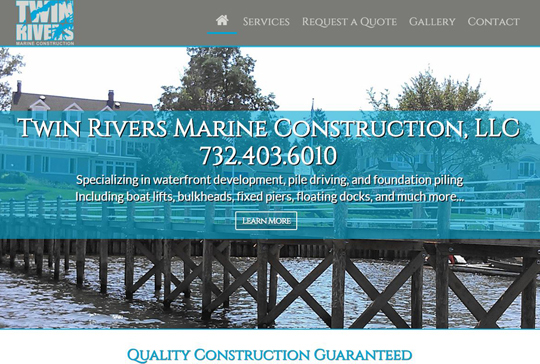 We are happy to announce the launch of our latest site for Twin Rivers Marine Construction, LLC. TRMC is a marine construction company located in Long Branch, NJ, who specialize in all waterfront development and pile driving. Their site was designed in HTML5 with WordPress as a content management system, has a front end visual editor for easy updates, and is 100% responsive for mobile devices.